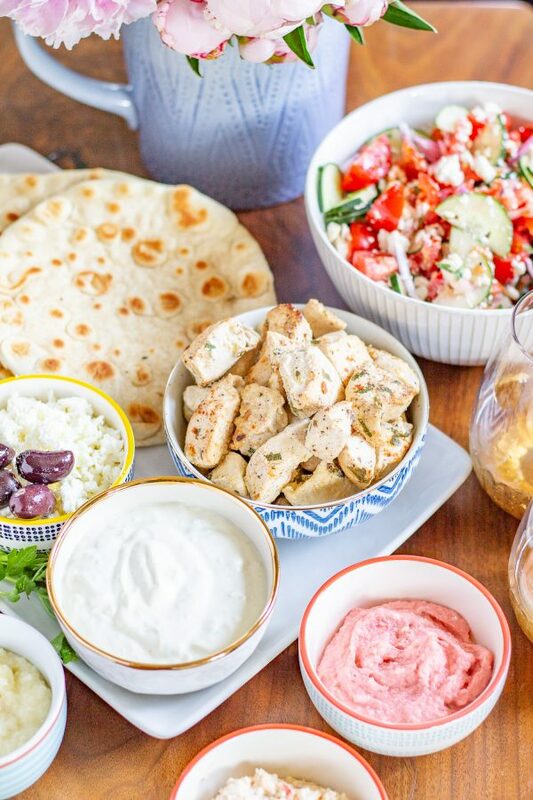 Somehow a low key girls’ night turned into a Greek Food Feast and a Mamma Mia watch party. 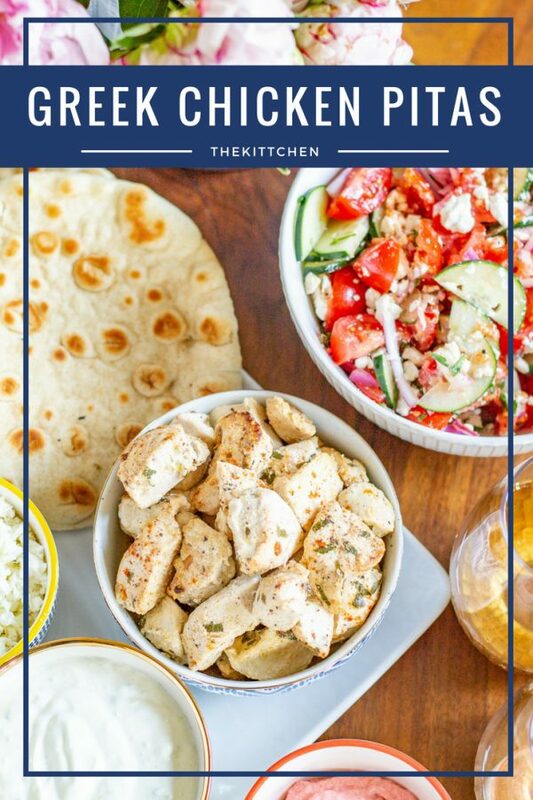 I made this Greek Chicken Pitas recipe, and a Shopka Salad. 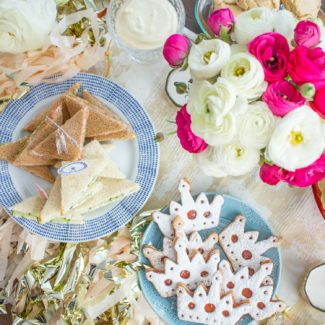 I ordered everything else to create this super easy party. I wanted to host my friends, but I also wanted it to be easy. Luckily, Chicago’s Greek Town has lots of excellent Greek restaurants, and Postmates will deliver to my home. So instead of making everything, I just make the bare essentials. I cooked up Greek Chicken marinated in yogurt, lemon, and spices. 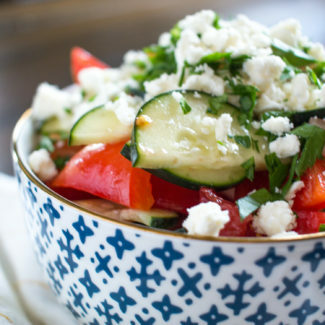 Then I made a Shopska Salad – a tomato, cucumber, and feta salad that is popular throughout the Balkans. 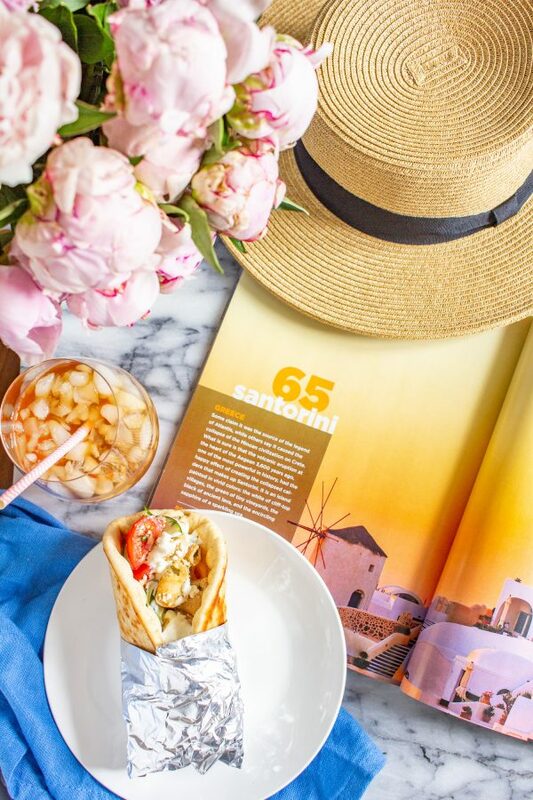 The rest of our menu was ordered from Greek Islands in Greek Town and Trader Joes. I really wanted the best pitas possible, so I ordered a dozen pitas (for 45 cents each), plus tzatziki, hummus, and other dips from Greek Islands. I got Spanakopita and a 5 Cheese Greek Spiral at Trader Joes. 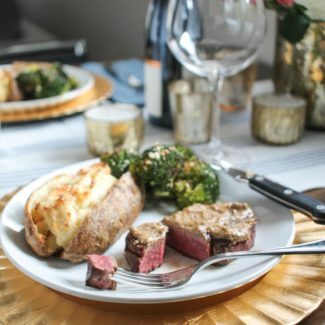 Everything came together to create an impressive feast, even though I only spent an hour cooking! 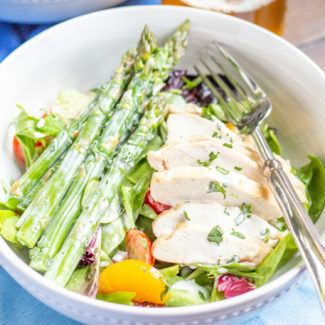 This Greek Chicken is so easy to prepare – the secret is to let the chicken marinate for at least 3 hours – but ideally overnight. To cook the chicken, I quickly seared it, and then covered the skillet, turned the heat all the way down and let it cook for another 10 minutes. 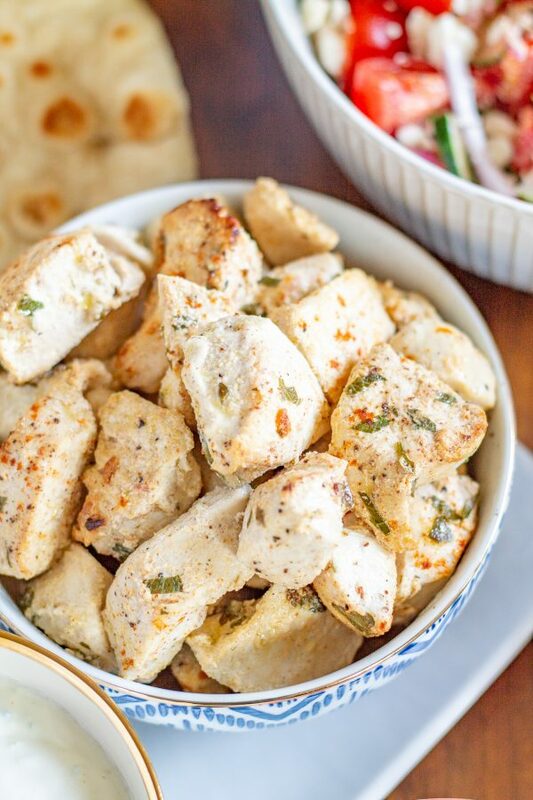 This method is the best way to make super tender chicken. I cooked the Greek Chicken before my friends arrived and set it aside in the fridge along with all of the excess cooking juices. Once my friends arrived I just heated up the chicken in the oven. I think that letting the chicken rest in the juice made it even more tender. 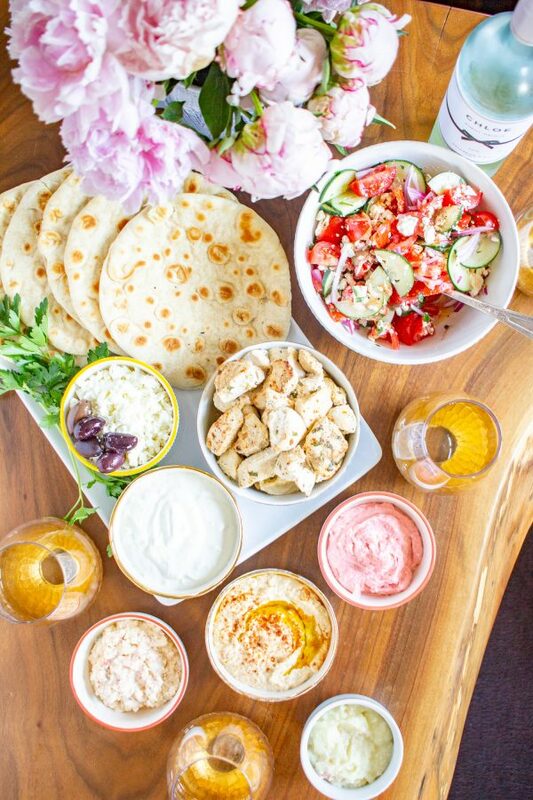 I poured all of the dips into small bowls and served them along with the Greek Chicken, Shopska Salad, crumbled feta, and warm pita bread. Then everyone got to assemble their own chicken pitas with all of their favorite toppings. 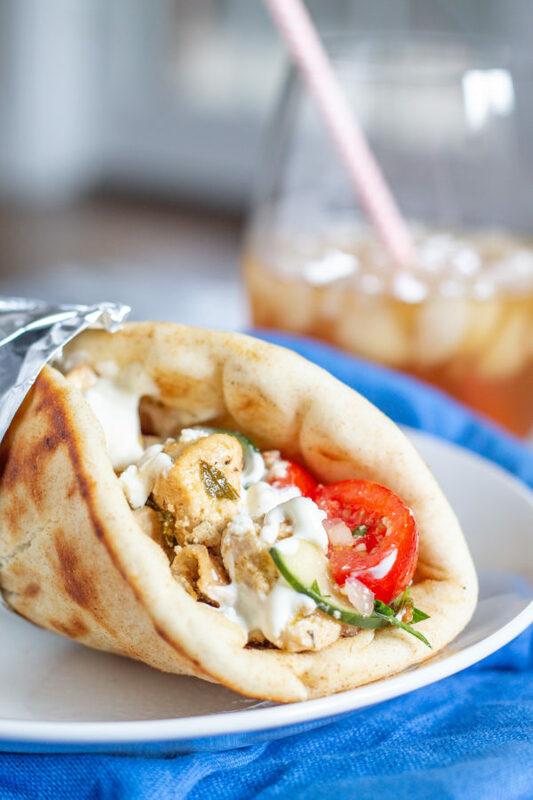 I recommend piling a scoop of Greek Chicken, some Shopska Salad, and a big scoop of tzatziki on top of a pita. It is a perfect combination. I hope that you appreciate the film Mamma Mia as much as I do. It’s campy. The dancing is nothing short of ridiculous. And poor Pierce Brosnan can’t sing to save his life. But! It’s oh so much fun. 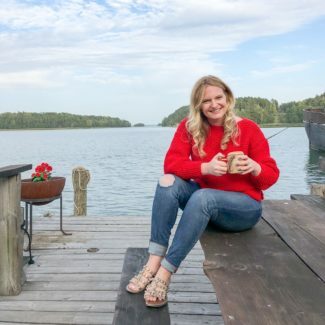 The setting – the Greek Island of Skopelos (in the movie they used the made up name of Kalokairi and this is an indication of how much sense the movie makes) is paradise and you will feel like you have been transported from your couch. The costumes at the end credits are reason enough to watch it. Mamma Mia is an ideal movie to watch with friends while sipping Aperol Spritzes and giggling. We had so much fun that we are already planning our next themed dinner and a movie. 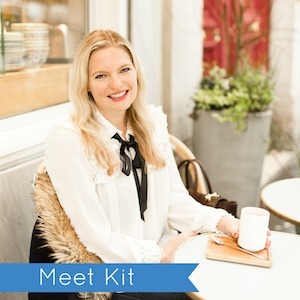 It was such a fun way to host friends and using store-bought products and delivery took the pressure off. 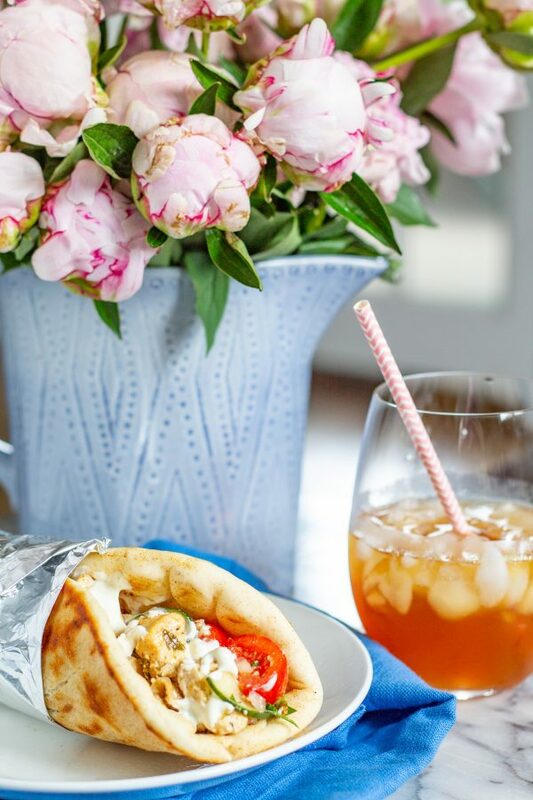 Pro tip – if you want to prevent the pita from falling apart while you eat it, wrap the bottom with foil. 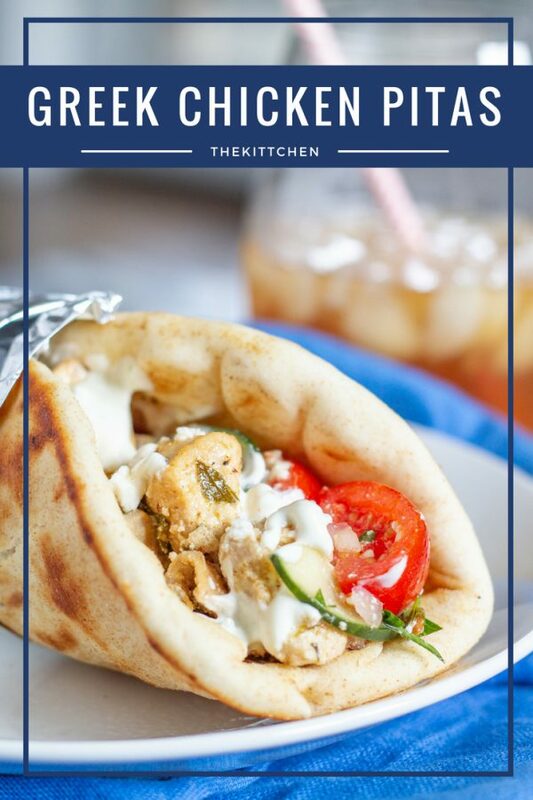 Greek Chicken Pitas made with chicken marinated in yogurt, lemon, and spices and topped with cucumber, tomato, feta, and tzatziki sauce. Dice the chicken into one inch pieces. 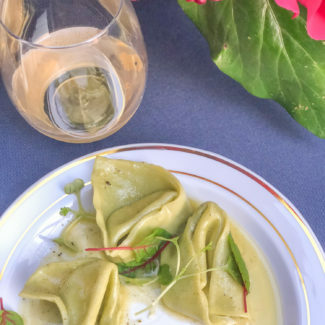 In a medium bowl, whisk the yogurt, 2 tablespoons olive oil, lemon juice, red onion, parsley, red wine vinegar, paprika, salt, and pepper together. Stir in the chicken, evenly coating it, then cover the bowl and place the chicken in the fridge to marinate. Let the chicken marinate for at least 3 hours, and ideally overnight. When you are ready to cook the chicken, heat a skillet over high heat. Drizzle enough olive oil into the pan to just coat it. Then add the pieces of chicken one by one so that any excess marinade falls off. Loosely fill the skillet, and as soon as the chicken has lightly browned, flip it over, place the lid on the skillet, and reduce the heat to as low as it will go. Let the chicken cook for 10 minutes. Repeat this process until all of the chicken has cooked. 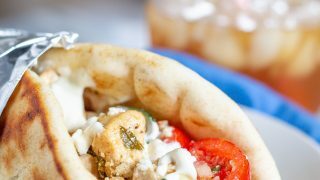 Serve the chicken with pita bread, tomatoes, cucumber, red onion, feta, and tzatziki. You can prepare this in advance. If you do this, reserve any pan drippings and store the chicken in the pan drippings and place in the fridge. When it is time to reheat, pour the chicken and the dripping into an oven safe pan and reheat at 300 degrees for 30 minutes.